Thank you to all the soccer teams who joined us today for another amazing day of 3v3! We are so thankful for all who participate, all our incredible volunteers (parents) and especially our volunteers who come out to help referee/field Marshall just because they love soccer & want to help! We are far beyond blessed for having all of your contributions! Division winner will be posted soon! Congrats to all the kids, though! Win, lose, draw… As long as you have fun, that’s all that counts! Put July 25 on your calendar for next summer…. Our 8th annual Summer Sizzler! No open play this morning (June 7) due to field conditions. We’ll shoot for next Saturday! This was an open play for middle school boys & OSC kids. OHS Girls Soccer Game Canceled for Tonight. OHS Girls Soccer Game vs Catholic for tonight has been canceled due to weather conditions. Game has not been rescheduled. Former Ozark Lady Tiger Standout, Paige Hemphill, Going PRO! OHS standout, Paige Hemphill, (class of 2010)has signed a professional contract with Vasteras BK30 of Sweden! CONGRATULATIONS PAIGE! Hopefully we can get our own interview with Paige soon. Bolivar, Mo. 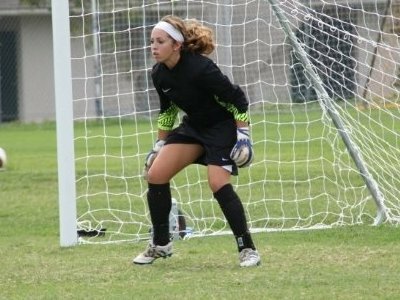 — Paige Hemphill, a four-year player in goal for the Southwest Baptist University Bearcats, has signed a professional contract to play for Vasteras BK30 of the Sweedish women’s league. Vasteras BK30 is located in the town of Vasteras, Sweden, approximately 30 minutes outside of Stockholm. They are a 1st division team in the Sweedish women’s league and are challenging to advance to the highest women’s division where they can also compete in the UEFA women’s champions league. The season runs from middle of April to the end of October. Ozark started the West Plains Tourney off with a win. The Lady Tigers defeated Mt. View/Liberty 4-3 in OT. (Davidson 2, Putt 2)Next game is against Moberly @ 10:30am Saturday morning. If the Lady Tigers beat Moberly, they’ll play in the championship game at 3pm. Tuesday’s Game against Neosho will be a Varsity only game. It starts at 5pm on the grass field.